Located in the beachside Los Angeles neighborhood of Westchester, the 80th Street Residence converted an existing 60’s-era ranch home into an open, contemporary design that celebrates indoor-outdoor living. While adjustments to the layout were fairly minimal save for the living and dining area, updates to finishes were extensive and the renovation touched every room of the home. 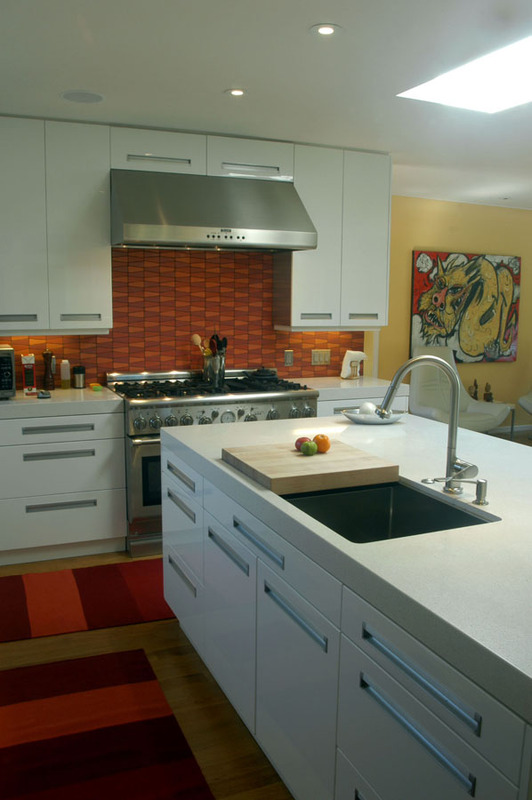 The clients, a high-powered attorney and chef, were interested in materials and colors that reflected their eclectic tastes and spaces that would facilitate entertaining and engage the kitchen as a central zone of entertainment. 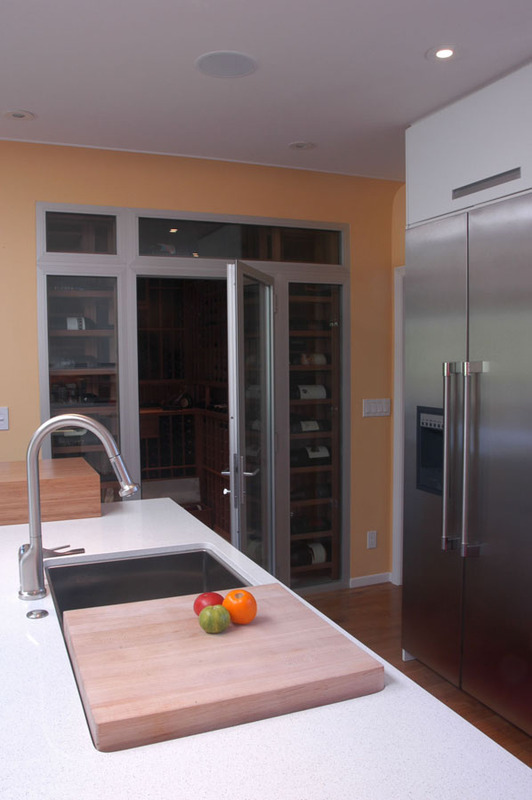 The kitchen was nearly doubled in size and opened completely to the adjacent living and dining spaces. 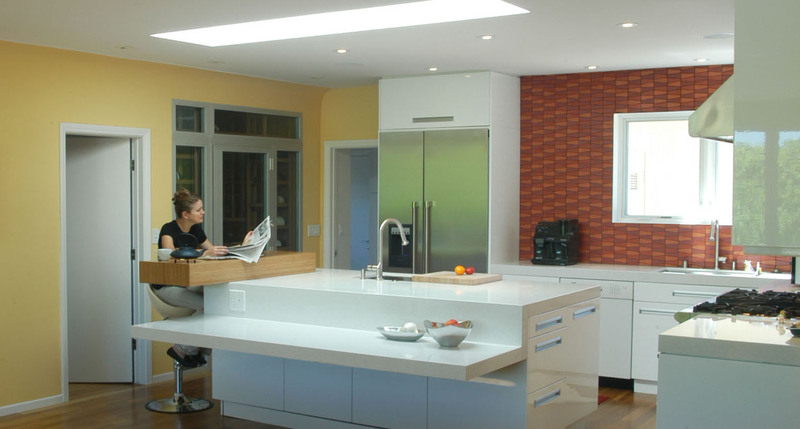 A large, multi-leveled bar was integrated into a center island for informal eating and for guests to engage with activities in the kitchen. A custom 1000-bottle wine cellar with teak wood racks and enclosed with glass was included for their wine collection. 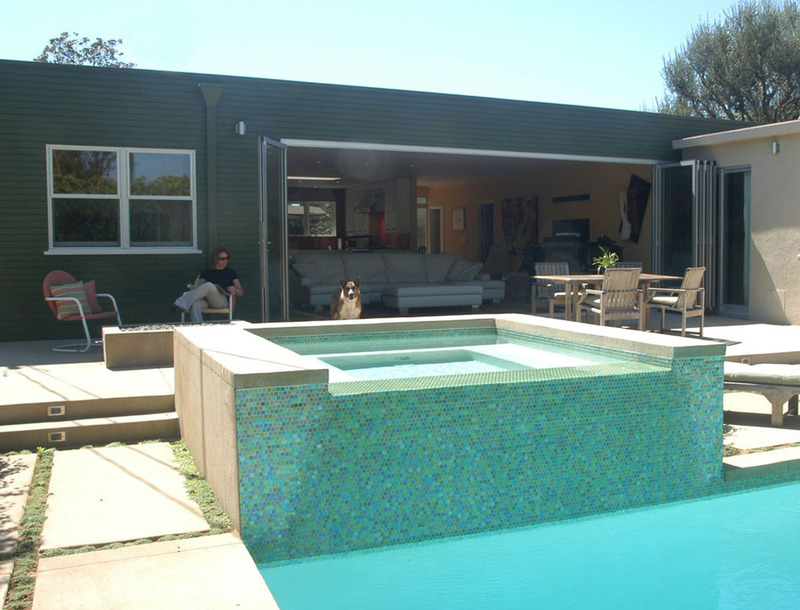 To open the public spaces to the rear yard and swimming pool, a Nanawall system of sliding door panels was added. 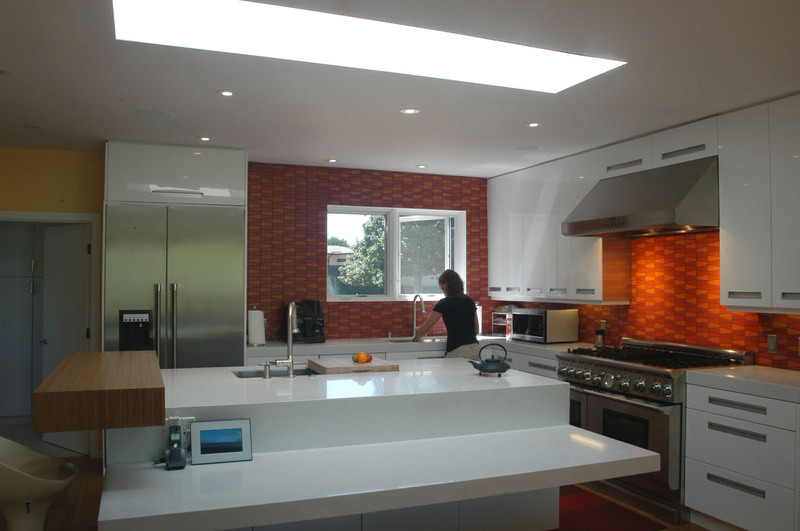 An oversized skylight was also inserted in the roof to offer natural lighting and highlight the importance of the kitchen in the daily lives of the owners. Updates in the bedrooms and adjoining baths included updated materials, increased storage opportunities and in the case of the master, an enlarged bathroom and dressing area.